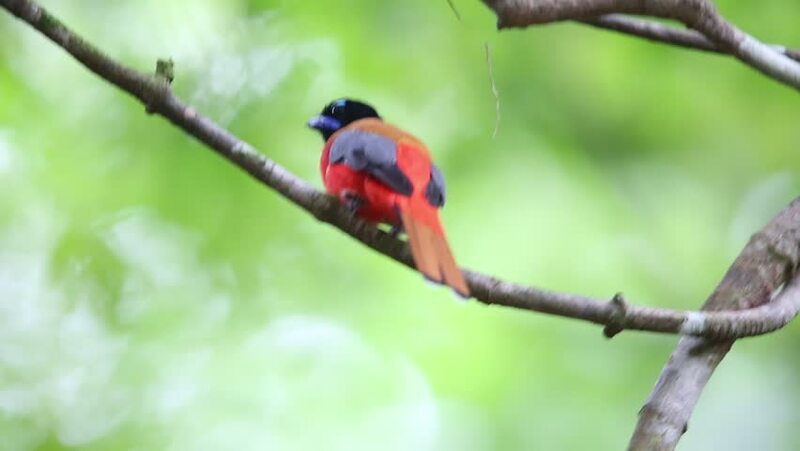 hd00:24Taiwan Blue Magpie (Urocissa caerulea) is an endemic bird species of Taiwan. It is a social, intelligent and gregarious animal. Its bright feather colors has made them the favorite birders. hd00:31Malayan Green Whip Snake eating asian chameleon on tree.